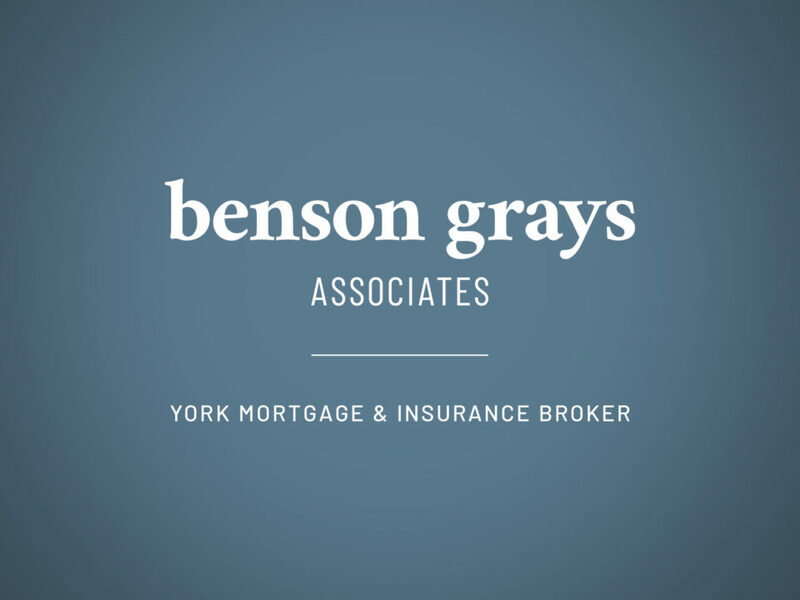 Benson Grays Associates are a York based mortgage brokerage. 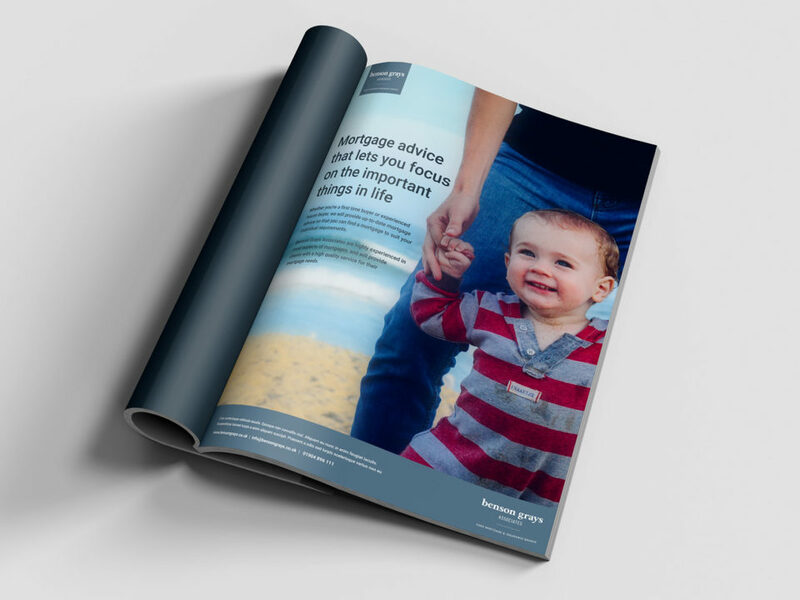 They work with a range of clients providing mortgage advice to help clients find the right mortgage for them. 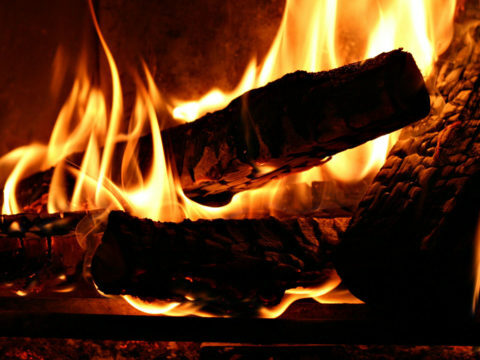 We were commisioned to produce a new identity and website. 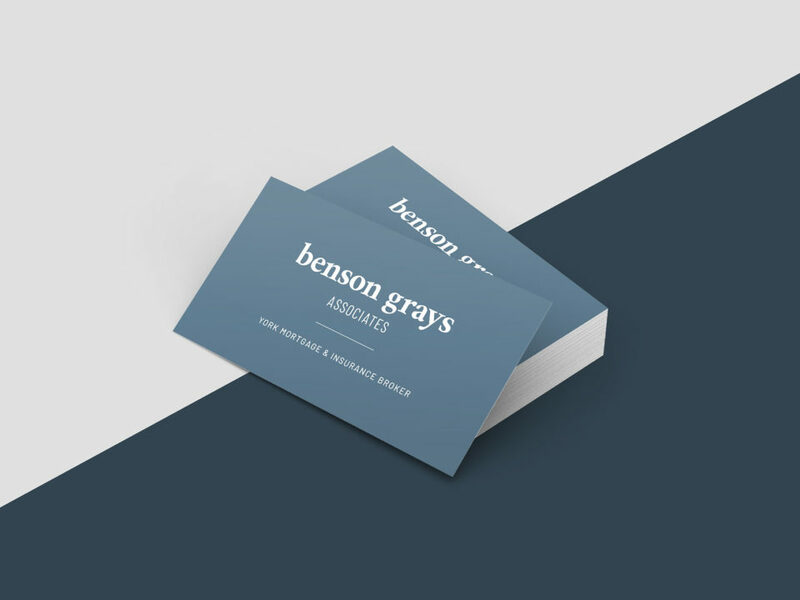 A key consideration during the design process was that the work we produced provided reassurance that Benson Grays Associates are a professional but approachable organisation. A clean serif typeface was selected as the main font in the identity to communicate respectability and reliability, but used in lowercase so as not to appear overly intimidating. 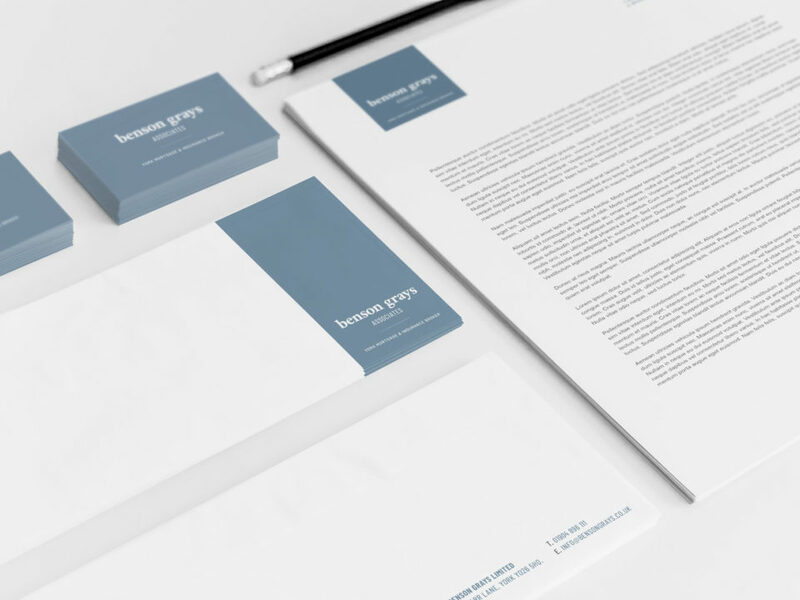 It was paired with a complimentary sans serif typeface to give the identity a modern feel. A light blue/grey was used as the primary colour to reiterate the core values of strength, responsibility, and reliability. 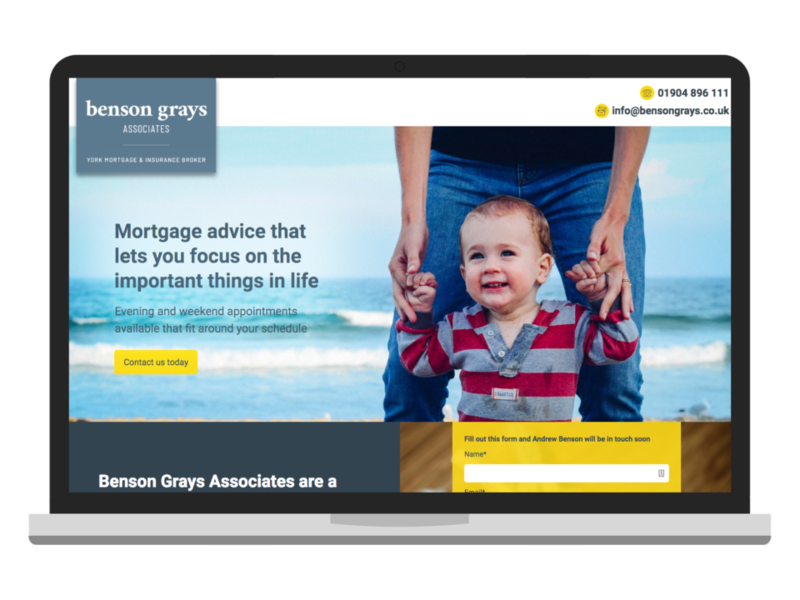 A simple one page website was created to fully communicate their offering and engage with a range of different potential clients and prompt user engagement.